Even though many DJs have an insatiable desire for new music, the Internet is so awash with listening and downloading options that without direction, you could fritter away many hours of screening music without netting anything to use in your sets. While everyone has favorite recording artists, there are many online tools that will help you keep up with those artists and find new music in similar styles that you’re likely to enjoy. We pulled together the music discovery habits of several DJ Tech Tools contributors to compile a list of sites and tips that is sure to keep you flush with usable new tracks. You may already know and use at least some of these, but a more well-rounded and complete routine will definitely keep you covered with all the new tunes you can handle. 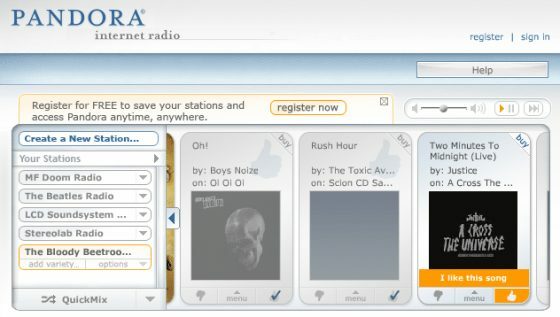 A lot of traditional Internet radio sites, such as KCRW.com, simply mirror or archive their companion terrestrial radio shows, but can still be a reliable source for quality new music. However, more innovative and dynamic Internet music streaming services are out there. Pandora is a free Internet radio service that will customize an ongoing playlist according to whatever artist or song title you feed it. So if you type in the Bloody Beetroots, for example, you’ll get their songs and others that are determined to be good for fans of the Bloody Beetroots, such as Boys Noize, The Toxic Avenger, Justice, etc. Pandora uses the Music Genome Project — an ambitious effort started 10 years ago — to analyze up to 400 musical attributes and find songs compatible with each other. Give chosen songs the “thumbs up” or “thumbs down” to further personalize your station. You can access the service at Pandora.com or on their popular iPhone/iPod Touch app. However, Pandora is not available in every country. Spotify.com, although currently only available in select European countries, is a downloadable app that lets you stream just about any music you want over the Internet for free. You create your own playlist or browse by genre. Listening to the music offline requires a membership with a monthly fee. SoundCloud has blown up from a wispy little cirrus to a devasting tornado of music in a relatively short amount of time, and that growth in popularity is entirely deserved. This music storage, discovery and distribution site has a highly functional yet eminently usable interface. 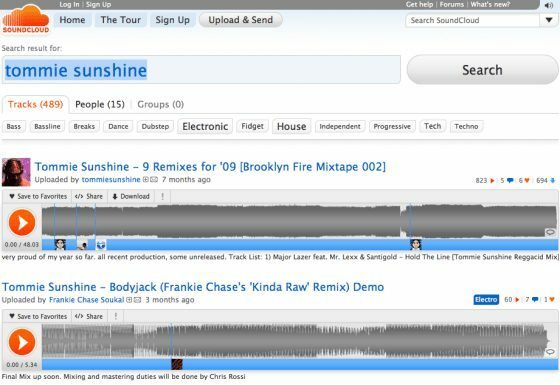 Music uploaders can post as many tracks as they want, full DJ mixes with tracklistings, and so on. Widespread industry acceptance of SoundCloud means that the listener can find countless DJ mixes and single tracks in every conceivable genre. Many of them are fully available to the public for streaming or even free downloading, and you’re likely to find some music that isn’t available (yet) anywhere else. Subscribing to Soundcloud groups that follow music you’re into will keep you happily listening for hours a day. Most digital download stores include genre charts, recommendation engines, DJ top 10s or other ways to help you sift through the infinite supply of music and find what you actually want. Sites such as Emusic and Amazon give you recommendations based on your past purchases that are remarkably useful. It’s almost spooky how well they can match up your musical tastes to new music you’ll like after only a few purchases. In many stores, you don’t have to purchase anything to get useful recommendations. Electronic dance music stores such as Traxsource, Dancetracksdigital and Beatport offer bestseller charts for very specific genres, DJ charts so you can see what familiar DJs are playing, and lists of other tracks that people also bought in addition to the track you’re looking at on the site. There are a ton of free EDM mix shows available as podcasts online. A little searching on iTunes or Google will have you swimming in them, or check up on your favorite DJs, magazines and music sites to see if they offer podcasts. Many of them offer tracklistings, so you can take note when a track really catches your attention. Want fresh tracks right off the cutting room floor? Hook up with other burgeoning producers and become part of their “feedback pool.” One DJTT staff writer shares his tracks with friends and receives a bunch of tracks in return, offers feedback on them, and plays them out if they’re good enough. Exclusive tracks aren’t just for Oakenfold or Cox anymore. Anyone can make a quality track in their bedroom and then email it out to their network, so get in on it. One Tech Tools contributor recommends Direct Music Service (DMS) a paid download site just for DJs that covers all types of genres, including hip hop, R&B, rock, 80s, pop, reggae, mashups, and others. 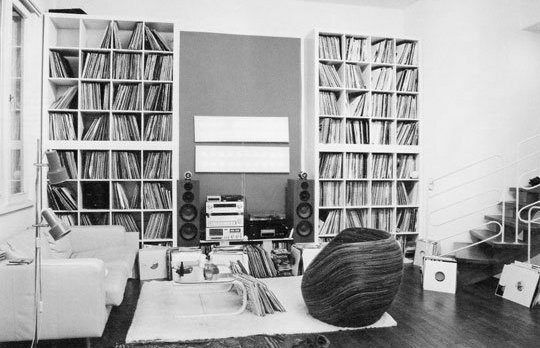 DMS offers only DJ-friendly mixes with intro and outros, many of them exclusive edits. There are three tiers of subscription rates ranging from $29.95 a month (or $269.95 a year) for 40 downloads a month or $64.95 a month ($449.95 a year) for unlimited downloads. Also, check out our recent Digital Record Pool Round-Up. 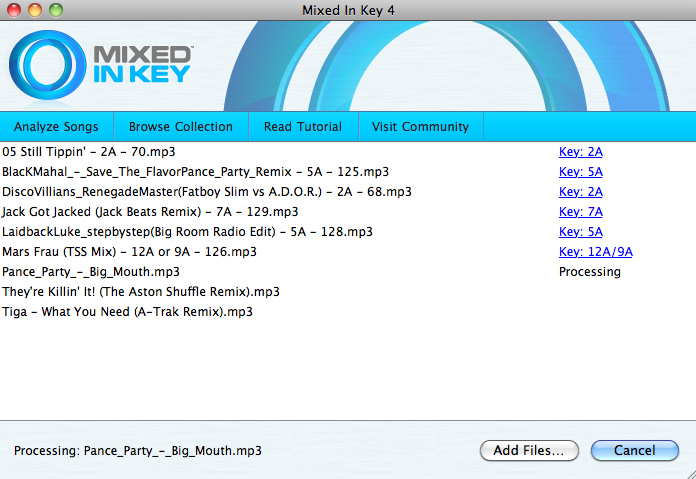 Since the whole point for DJs of finding music is to find tracks that mix well together — whether it’s new music or not — key analysis software such as Mixed In Key can help you re-discover how some of the older gems in your music collection will combine with others. This is a great way to re-vitalize some of your old favorites that have been absent from your DJ sets — by discovering how they may go well together with your latest floor-fillers. You should always test the mixes first before blindly playing them out simply because Mixed In Key placed tracks in a compatible key range, but key analysis software will definitely lead you toward some amazing musical combinations between the old and the new. There are also a lot of other amazing “playlist” creation tools out there that group similar music in your collection, resulting in the re-discovery of great music. 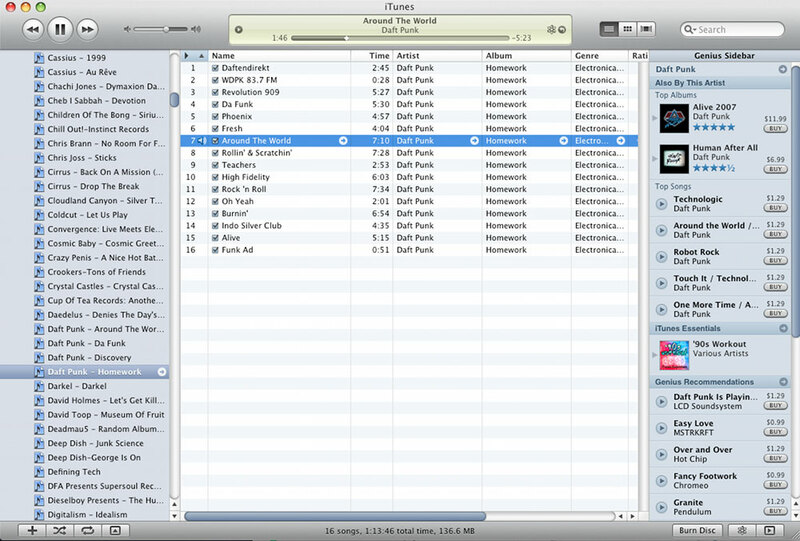 Many DJs organize their music collections within iTunes, which makes the iTunes Genius feature very convenient. Once you turn on the Genius feature, you can open the Genius sidebar, which will pull up the top albums and songs on the iTunes Store by the artist you’re listening to, as well give you Genius Recommendations: suggested songs by similar artists available in the iTunes Store. It’s a very handy feature in a ubiquitous piece of software. However, I do have a complaint that Genius Recommendations aren’t always available. For many electronic artists, some of them as well-known as Crookers and Authechre, the Genius sidebar only suggested top albums and songs by that artist, but no other similar artists. 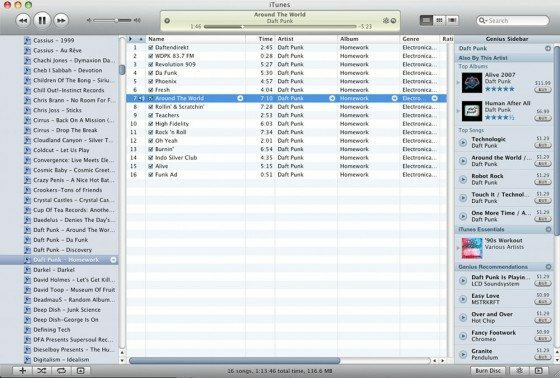 You can also come across nice transitions between older and newer songs when you use the iTune Genius playlist generator, which creates a playlist out of your iTunes Library using songs that the function determines will work nicely together. Not everything that it spits out will be gold of course, but you’re sure to run into something that you hadn’t yet thought of on your own. This might be a little bit of nepotism, since DJ Tech Tools is itself a blog, but let’s face it: blogs have really taken over the mantle of influence when it comes to electronic music over the last few years. Because there are many thousands of music blogs, we won’t recommend single ones, but rather the aggregators and search engines. 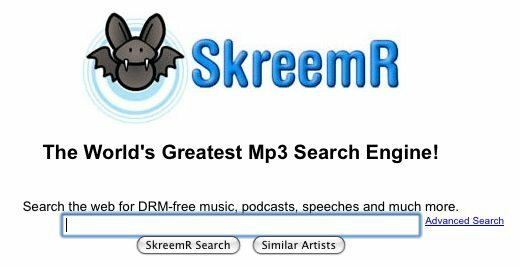 For searching DRM-free MP3s that have been posted to blogs, we love Skreemr.com. The simple, Google-inspired homepage lets you search for music by song title, artist or album. Type in an artist name and hit the Similar Artists search button for a very comprehensive and accurate list. As an example, a search for artists similar to Joakim brought up a list of 100 other artists, many of whom we already knew, but also many other quality producers who were new to us. Clicking any of those artist links takes you to a ranked list of MP3s available from blogs. You can play and download tracks straight from Skreemr, or link to the blog that posted it. Use the Advanced Search from Skreemr’s homepage to search for music by genre. Perhaps the most commonly used site across all the Tech Tools peeps is The Hype Machine, or HypeM.com. This MP3 blog aggregator lists songs as they appear in associated blog posts, and you can listen to the tracks right there, link to the original blog post, or search for music by keyword. If you want to cut straight to what’s poppin’ off in the blog-o-verse, you can listen to the Hype Machine’s monthly radio show of hot tracks, hit the Popular tab for the most listened to tracks over the last three days, or check the most tweeted music on its Twitter charts. One tip for the Hype Machine is to save your favorite searches as an RSS feed. Say you discover a new remixer and search for him on the Hype Machine. In the Search Results bar, click the RSS button, which will lead you to an option to save that search in an RSS reader, such as Google Reader. Any new search results for your saved searches will then show up on your Google Reader page. At some point or other, everyone’s received a YouTube link to a video you used to love from your childhood and had forgotten all about, and from that point on, you realized that just about every video every made is on YouTube and proceeded to blow the better part of your day clicking around on all your old forgotten favorites. Not only that, but seemingly every new track gets uploaded to YouTube these days, whether it’s a full-blown video or just a low-res audio file with some still images. New music you like will lead you to more new music you like, and before you know it — boom — another day is shot. Discogs.com has a watchlist feature for registered users, which gives you automatic updates on releases from your favorite artists and labels. The Discogs overall database is quite extensive, and a quick browsing of user reviews/comments often yields cool tips on similar artists. Anyone who’s anyone has a Wikipedia page, right? Chances are you can look up your favorite artists on the online encyclopedia, and if you don’t find a list of similar and associated artists, you should at least get a discography of remixes, singles and albums. Using torrent sites is definitely a vice that way more people partake in than admit to. Even in a time when many artists will boast about how popular they are on blogs, which also give music away for free, torrent sites can still elicit feelings of shame even in diehard downloaders. But if you are going to get music from torrents, you may want to specialize. There are private torrent trackers out there that focus on certain types of music, and you can gauge the quality of the music by how many people in the community have downloaded and commented on it. Huge props go out to BentoSan, Cam, Deraadt, DJ Solomon, Ilya, mikecharles and Rolfski for their input on this article.